Twitter is great for getting a wide selection of information on many topics from all over the world. If I don’t have time to read the articles, I send a DM to my Evernote account so I can catch up later. Here are a few items which really caught my eye and are worth sharing. It won’t be long before conflict resolution skills are on the list! They are already on mine, of course. 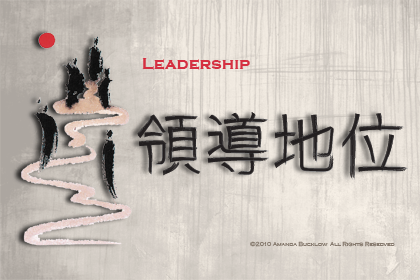 for crisis in Japanese has two sets of characters: one for danger, and one for opportunity. A sudden, unexpected crisis is an opportunity, and if we view it that way, which admittedly is not easy when you’re simply trying to survive, like Andy is, but it can lead us in new directions,new directions we perhaps should have taken anyway. Eastern philosophy has interested me for over 30 years and influenced my work and life. 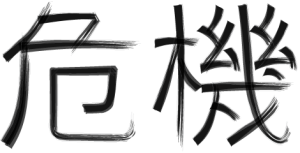 I love Chinese and Japanese characters (as you can probably tell from the illustrations on this blog). I was introduced to the structure and meaning of the Japanese characters for crisis by Julian Gresser in the mid nineties and the illustration already appears on this web site. I am also fascinated by the tension of paradox in the work I do as a mediator. Looks like an interesting book. This is a great post for conflict resolution skills. On of the most effective and successful shifts that participants make when they are doing their foundation mediation skills training is the one where they replace BUT with AND. It has incredible power for conveying understanding.